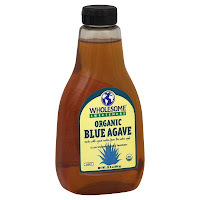 I am head over heels for agave syrup, the nectar from the Agave tequiliana plant. My new favorite natural sweetener is low on the glycemic index, which means that it causes small fluctuations in our blood glucose and insulin levels - that means no major sugar highs or sugar lows. It is also 25% sweeter than regular sugar, so you use less. I use this every morning in my coffee and found that it is a great way to sweeten iced coffee because it dissolves so easily. Add the coffee grinds and the hot water to a French press, stir. Brew the coffee for 10 minutes. Press and pour the coffee into a pitcher. 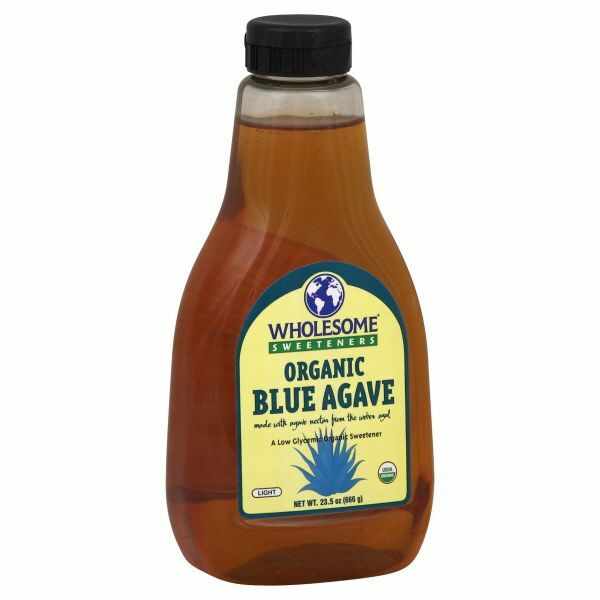 Add the agave syrup and stir, cool then place in the refrigerator overnight. The next morning add milk and enjoy. I've made risotto before, but this zucchini risotto was out of this world! I couldn't really taste the shredded, caramelized zucchini, but I loved the deep, rich color it gave to the dish. The technique of shredding the onion was a new concept for me and I thought it worked really well - no tears! The bacon added a delicious saltiness and I am now worried I may never make risotto again without bacon. Although the parmesan tuiles were easy to make, I didn't care for the flavor; they were a little bitter. The highlight of this dish, however, was the balsamic reduction. It took a simple, rustic meal and elevated to a gourmet level. If you make this dish, you have to try the reduction! It was simply exquisite! This dish has become a regular on my dinner table. It was inspired 5 years ago, after moving to DC and meeting my husband, Jeremy. I was immediately smitten and knew Jeremy was special when he told me he had just bought a leg of lamb from, of all places, Costco - my favorite! We spent hours on the lamb, infusing it with garlic and olive oil and grilling/smoking it low and slow over charcoal on the roof deck. Then we built an amazing sandwich with the lamb and grilled eggplant. Most of the time, however, slow cooking for 4+ hours is not an option. This recipe has been transformed over the years, still capturing the essence of the original dish, but now it can be easily prepared after a long day's work. I woke up today excited about the prospect of this blog, but then I realized that I needed to get cracking on my dinner plans. But what do I feel like eating and making? I ask this question everyday. To me it is the most important question of the day. My answer put me in a great mood, excited about the whole process of preparing the meal - the shopping, the cooking and, of course, the eating (it also makes the dreaded cleaning bearable). Today I was inspired by summer's end and wanted to revive one of last year's favorite summer meals, Chilled Udon Noodle Salad, and I felt like adding shrimp tonight as the protein (I have used skirt steak, tofu and chicken in the past).